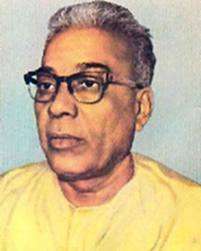 Madhukar Dattatraya Deoras (11 December 1915 - 17 June 1996), popularly known as Balasaheb Deoras, was the third Sarsanghchalak of the Rashtriya Swayamsevak Sangh (RSS). Deoras was born on 11 December 1915 in Nagpur by the name Madhukar Dattatreya and raised in Andhra Pradesh. He was the eighth child of Dattatreya Krishnarao Deoras and Parvathibai; the ninth, his younger brother Bhaurao, also became a pracharak of the RSS. Deoras was educated in New English High School and matriculated from Berar Board of Secondary Education of the Central Provinces in 1931. He then graduated from Moris College (now Nagpur Mahavidyalaya) in 1935 and obtained his LLB degree at the College of Law, Nagpur University. Inspired by Dr. K. B. Hedgewar, he was associated with the RSS from its inception and decided to dedicate his life to its goals. He was the first pracharak sent to Bengal, and he returned to the movement's headquarters to direct the publication of Tarun Bharat, a Marathi daily, and Yugadharma, a Hindi daily. He became general secretary of the RSS in 1965. During the same year he addressed the annual meeting of the Jana Sangh. After the death of second RSS chief M. S. Golwalkar, Deoras became Sarsanghachalak, the supreme leader of the RSS, in 1973. Known as Balasaheb Deoras, he became more deeply involved in politics than any earlier RSS sarsanghchalak. The following year, Deoras expressed his activist leanings by having the RSS support the "JP Movement", an anti-Indira Gandhi movement led by Jayaprakash Narayan. In the aftermath of the end of The Emergency, Deoras met with Christian and Muslim leaders. The RSS’s national assembly exhorted, "all citizens in general and R.S.S. Swayamsevaks in particular to further expedite this process of mutual contact by participation in each other’s social functions". Such sentiments can be viewed as consequences of the optimism in Indian public culture at that time. Under Deoras, the RSS took a turn towards accelerated activism and tried to dramatically increase the number and range of its recruits. This shift in orientation was reflected in its literature: it produced simplified versions of its ideology and used new generic forms to present them in (comic books, posters, postcards, inland letter cards, etc.). The term "the masses" came to occupy a central place in its vocabulary. Deoras continued as Sarsanghachalak till 1994, when he stepped down due to ill health. He left behind a shining legacy and paved the way for Rajendra Singh to replace him. Declining health eventually resulted in his death on 17 June 1996. He lived long enough to see Atal Bihari Vajpayee become India's Prime Minister in May 1996, the first adherent of Hindutva philosophy and of RSS affiliation to become PM. Deoras echoed Savarkar by stating: "We do believe in the one-culture and one-nation Hindu rashtra. But our definition of Hindu is not limited to any particular kind of faith. 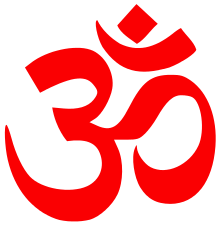 Our definition of Hindu includes those who believe in the one-culture and one-nation theory of this country. They can all form part of the Hindu-rashtra. So by Hindu we do not mean any particular type of faith. We use the word Hindu in a broader sense." According to Deoras, even though Mahatma Gandhi appeased Muslims, the Muslims never accepted him as one of their own. In 1973, Deoras denounced the practice of untouchability and appealed to the RSS volunteers to work towards its removal from the Hindu society. The RSS has set up many programs under Seva Bharati, an organization devoted to uplifting the members of scheduled castes. Under it, RSS volunteers have started schools in which they offer vocational courses for slum dwellers and former untouchables while teaching them the virtues of Hinduism. Deoras declared: "If untouchability is not wrong, nothing in the world is wrong." He said on November 9, 1985, that the main purpose of the RSS is Hindu unity and that the organization believes all citizens of India should have a 'Hindu culture'. A brainchild of Deoras, the Swadeshi Jagaran Manch was vocal in its defense of swadeshi. Founded in 1993, it was conceived as a protectionist bulwark against economic liberalization by the Congress government of P.V. Narasimha Rao in 1991. Klostermaier, Klaus K. (2007). A survey of Hinduism (3. ed.). Albany: State University of New York Press. ISBN 9780791480113. Bhatt, Chetan (2001). Hindu Nationalism Origins, Ideologies and Modern Myths. Oxford: Berg Publishers. ISBN 9781845209865. Hasan, Zoya, ed. (1994). Forging identities : gender, communities and the state in India (1. publ. ed.). Boulder u.a. : Westview Press. ISBN 0-8133-2333-9. Sharma, Arvind, ed. (1994). Today's woman in world religions. Albany: State Univ. of New York Press. ISBN 0-7914-1687-9. Saha, Santosh C., ed. (2001). Religious fundamentalism in developing countries (1. publ. ed.). Westport, Conn. [u.a. ]: Greenwood Press. ISBN 0-313-31155-2. 1 2 Klostermaier, p. 446. ↑ Ghimire, Yubaraj. "A Seamless Hindu Vision". outlookindia.com. Outlook. Retrieved 26 June 2014. Wikimedia Commons has media related to Madhukar Dattatraya Deoras.